An awards trophy that is simply outstanding. 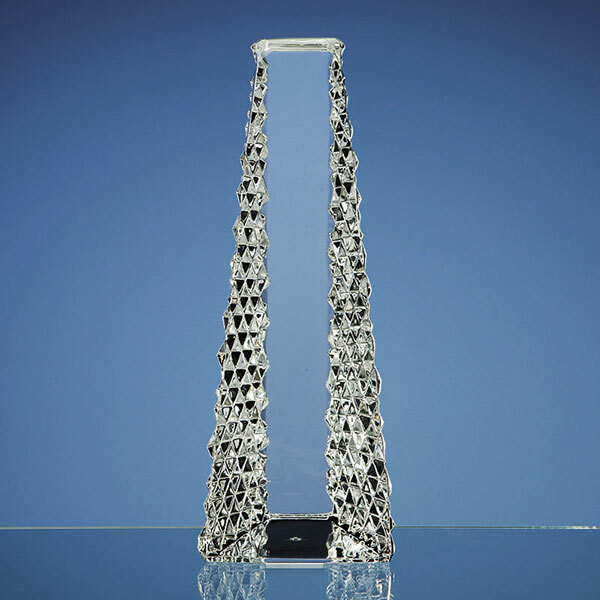 This designer crystal tower, crafted in 24% lead crystal by Mario Cioni, is perfect for prestige achievement awards or recognition awards. It features a tall engraving field of 150mm by 40mm, ideal for customising with event or achievement details. This superb crystal award is offered with low-cost engraving of text and/or logos from Crystal Awards Supplier.